A 7.6 magnitude earthquake struck off the coast of Honduras Tuesday night. A tsunami warning was issued for Puerto Rico, the US Virgin Islands and Central America. 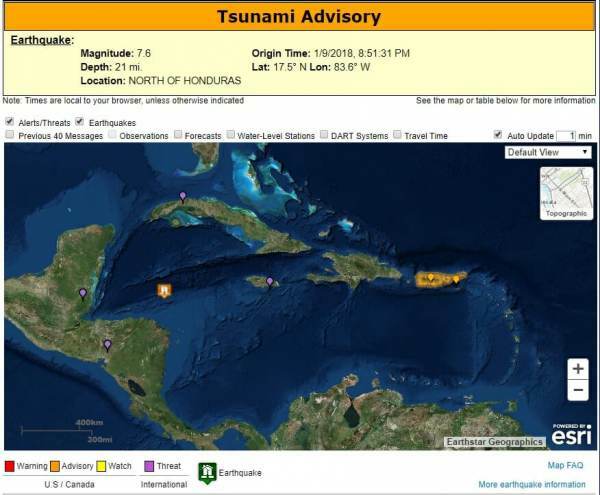 The US Tsunami alert system issued a major warning for Puerto Rico.